Results from Club Kawana Armed Pairs 14th Apr. See Tournament Results – Q’ld. S. A. 2019 Armed Singles winner announced. See Tournament Results S. A.
ABA welcomes BNABA (Q’ld) check out their newsletter and up coming tournaments. – See Brisbane Northside ABA in the blue menu bar. Sample Petition and Letter available for your use in respect of May 1st proposed changes – Go too “Your Comments” or click here. 1st Report on “The Battle of the Arms” City of Frankston – See Tournament Results – Vic. Peter Thow wins inaugural Tasmanian Armed Men’s Singles – See Tournament Results – Tas. Latest News from Bowls Aust. re Artificial Devices, click this link! City of Echuca 17th Mar event cancelled. Impending Amendment to the BA Artificial Devices Policy. I urge you all to see “Approved Arms and Makers” for the new policy. Results from Belmont Dec 16th added – See “Tournament Results” – Vic. Results from the State Women’s Armed Singles Final – See Tournament Results – Vic. Results from the State Women’s Armed Pairs Semi – See Tournament Results – Vic. City of Frankston “Battle” T’s flyer added – See Upcoming Tournaments – Vic. Warracknabeal Armed Pairs moved to 21 Apr ’19 – Flyer to follow. Results from Karingal 10 Feb ’19 – See Tournament Results – Vic. City of Frankston Battle of the Arms Singles 17 Feb. Cancelled. Winners photos from Teralba Pairs – See Tournament Results – NSW. Highton Event for the 3rd Feb cancelled due to heat… to be re-scheduled to April. New Zealand Tauranga South B.C. to stage an Armed triples 24th Mar ’19. – See Upcoming Tournaments – New Zealand. Day 3 – See Tournament Results – Vic. Day 2 Vic. Arm Bowler State C’ships. from Armadale. Ladies Singles and more results from Day 1. – See Tournament Results – Vic. Day 1 Vic. Arm Bowler State C’ships. from Armadale. (Part Results) – See Tournament Results – Vic. Flyer for Q’ld State Arm Bowler C’ships added – See Upcoming Tournaments Q’ld. I really do wish all ABA readers and Armers a Very Merry Christmas and a Happy and Healthy 2019! Conditions of Play for the Vic. State Armed Single and Pairs (Jan ’19) – See Upcoming Tournaments – Vic. or click here. The Draws are out for Vic. State Armed Singles and Pairs (Jan ’19) – See Upcoming Tournaments – Vic. or click here. A moment of indulgence from the Editor. See Bit’s ‘n Pieces 2. MABA Christmas at Manly. Photos & report from Geoff Geary. See – Tournament Results – Q’ld. Catch Queensland’s “Awesome Foursome” live, today (5 Dec ’18) from the Australian Champion of Champions held in Merimbula. See – “Bit’s ‘n Pieces” or Click here. Dromana Open 3 Bowls Triples – 2 Dec ‘18 – See Tournament Results – Vic. Comments on our “Coaching Tips” page from Roy Bilton and ABA – See Your Comments. Report/photos from Mooloolaba Armed Pairs – See Tournament Results – Q’ld. Armadale Results, photos – See Tournament Results – Vic. 2 Coaching clinics added 16 Dec ’18 & 20 Jan ’19 – See Coaching Clinics. 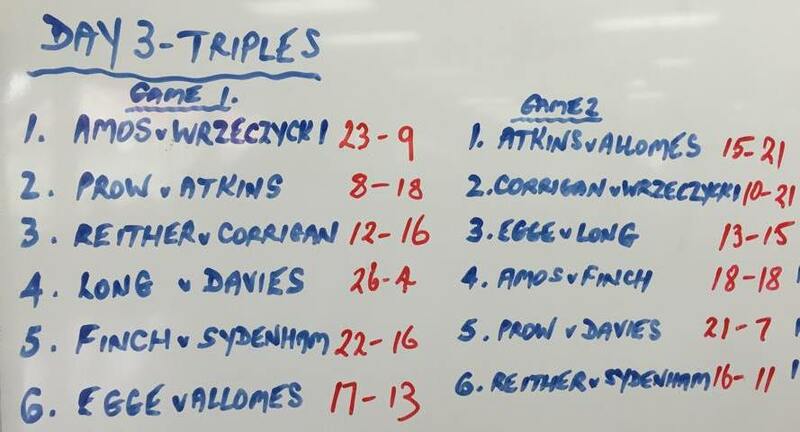 Results from Werribee Armed Triples (18/11) – See Tournament Results – Vic. Results and photos from Berwick Open Pairs, 12 Nov ’18 – see – Tournament Results. Very interesting comment from “over the ditch”, New Zealand. See – Your Comments. Further comment and reply. – See – Your Comments. New comment from Peter Wigmore. See – Comments. Have your say. Venue announced for Vic. State Armed Singles/Pairs – See Upcoming Tournaments – Vic. Results with photos, Burden Park 2 bowl triples. See – Tournament Results – Vic. Changes to the Co-ordination of Armed Bowls in Victoria Click Here. Congrats too: Phil Godkin, (State Arm Side Coordinator), Michael Rose (State Arm Coaching Coordinator) and Tony Long (State Arm Events Schedule Coordinator). Reminder to all Vic. Armed Bowlers, it’s 15 sleeps till Burden Park’s 2 Bowl Triples and it’s 19 sleeps to the Berwick Open Pairs….Love open pairs! Check out the flyers on this site at “Upcoming Tournaments” – Victoria. Geoff Cooper wins Club Vet. Singles at Kawana. See “Bit’s ‘n Pieces 2” Oct ’18. Take a moment to look back at the Croydon Bowling Club’s Armed Clinic held on 9th Sep’18. It was hugely popular and they promise to follow up in 2019. Read their report and check out their photos in “Coaching Clinics” Well done Croydon! The Mooroopna event scheduled for 28th Oct. ’18 has been cancelled. Day 4 – Last Day Results – See “State Reps – 2018”. Day 3 – Results – See “State Reps – 2018”. Day 2 – Results and Official Side photos – See “State Reps – 2018”. 2018 National Bowling Arm C’ships – photos, report and results from Day 1- See “State Reps – 2018”. Swan Hill event listed for 8 Sep ’19 has regrettably been cancelled today 6 Sep.
Flyers for Mooroopna and the City of Frankston’s “Battle” Singles and Triples added. See Upcoming Tournaments – Vic. Flyers for Swan Hill, Berwick, Werribee & Dromana added. See Upcoming Tournaments – Vic. More Comments/Questions. See – Your Comments. Vic. Armed events notified. See – Upcoming Tournament – Vic. Kawana O/Pairs 18 Nov ’18 flyer added. See Upcoming Tournaments – Q’ld. Welcome to spring, and welcome to the Tasmanian’s about to enjoy their First National’s! See ya there! Apologies to those that rec’d too many advice’s! Sorry. Latest BA Artificial Devices Policy. See “State Reps” 2018. New comment from Col Griffin – See – Your Comments. Chermside hosts M.A.B.A Pairs – See Tournament Results – Q’ld. Pam Martin wins Minor at Beresfield. See Bit’s ‘n Pieces 2. Finley 2 Sep ’18 “Armed Tussle” flyer added – See Upcoming Tournaments Vic. Burden Park 8 Nov ’18 flyer added – See Upcoming Tournaments Vic. You can now make a comment …..at the end of any of my VERY LONG Pages – This site uses Akismet to reduce spam. Conditions of Play for National Armed C’ships – See State Reps. 2018. Program release for 2018 National Armed C’ships – See State Reps. 2018. Question from Rodney Brown, see Your Comments. South Australian State Singles Winner ’18. See Tournaments Results – S.A.
Western Australian Squad named. See State Reps. 2018. Congrats to all! South Australian Squad named. See State Rep’s. 2018. Congrats to all! Queensland State Armed Pairs & Singles Report & Photos. See Tournament Results – Q’ld. 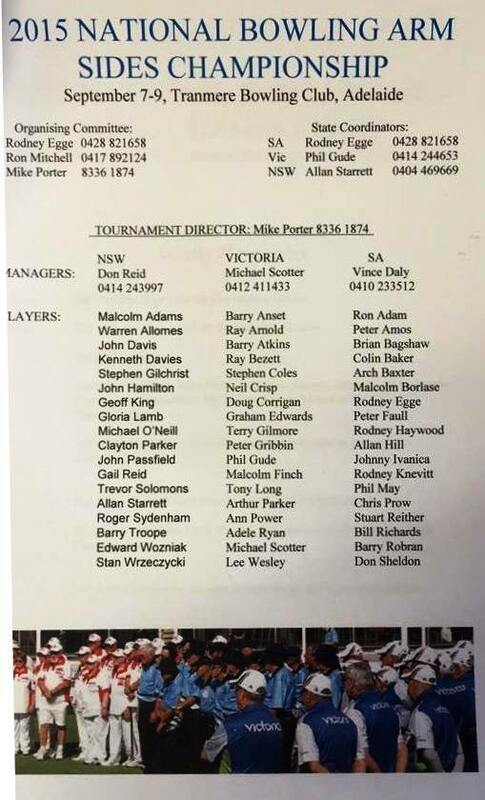 South Australians seeking help from other armed bowlers or Coaches have a great list of willing helpers from all over the State. Click here for their contact details. Queensland State Armed Singles and Pairs winners named. – See Tournament Results – Q’ld. Peter and Gerry win at Bendigo to grab the State (Disability) C’ship Pairs! (new photo on “Bits ‘n Pieces”. Armers, Peter Dixon and Gerry Carton to play off in the Multi Disability C’ship Pairs Final at East Bendigo tomorrow. See “Bits ‘n Pieces” – result as it comes to hand. “Battle” 10th Anniversary bash. Results & Photos. See Tournament Results – Vic. Results from Mildura Mike Menz Charity Day. See Tournament Results – Vic. Mildura Bowls Club presents the Mike Menz Charity Day (8 Apr “18) supporting the Sunraysia Cancer Support Group. See Upcoming Tournaments Vic. for flyer. City of Frankston (Open Armed Singles – Club Event) winner. See Bit’s ‘n Pieces. Items for sale or to purchase – See “For Sale”. Kapunda Annual Armed Bowlers Tournament – See Tournament Results – S. A.
Pam’s Quick Tips added – See Coaching Tips. Latest news from Bowls Vic. 9 Mar. ’18. Click here. Col Griffith has a comment, in our new “Your Comments” Sect. S.A. State Trial dates 22-23 Apr. ’18 – See S.A. Website or Upcoming Tournaments. Kapunda Cosmo’s 4’s date change to 19 Mar ’18 – See Upcoming Tournaments. Latest Bowls Australia Artificial Devices policy. See Approved Arms and Makers. Queensland Tournaments, April to November 2018, added. Results and pictures of Dromana’s open triples 25th Feb ’18 – see Tournament Results – Vic. East Maitland, Beresfield 2 day Armed Event suffered a “wash out” on Day 2. DHB (Hacksaw) Arm for sale, Melb./Frankston area. See “For Sale” Section. Richard Haddrick, developer of the “Dart Release” Bowling Arm, gives us his tips – See “Coaching Tips” Thanks Richard. Tweed Heads Pairs 26 Feb ’18, flyer added – See Upcoming Tournament – Q’ld. Dromana flyer added for 25 Feb ’18 – See Upcoming Tournament – Vic. Heaps of photos for you to enjoy – Check out the Phil Gude State Armed Singles and the State Armed Pairs (Male & Female) in our “Tournament Results – Vic.” section. Time to check the Cond. of Play for the State (Vic.) Armed Singles. You might be surprised…it’s an 8.15 am Roll up!!! See – Upcoming Tournaments – Vic. City of Frankston Armed Singles results & photos. See Tournament Results – Vic. Vic. State Armed Pairs (Men’s) Draw. Click Here. For more go to : Bowls Vic. Vic. State Armed Pairs (Women’s) Draw. Click Here. For more go to : Bowls Vic. Vic. State Armed Singles (Men’s) Draw. Click Here. For more go to : Bowls Vic. Vic. State Armed Singles (Women’s) Draw. Click Here. For more go to : Bowls Vic. Certificates for 5-peat Vic. Nationals Winners. See -“State Reps” here – Vic. OR go to: Bowls Vic. City of Frankston, Format and Conditions of Play updated advice 26/12. See Upcoming Tournaments – Vic. Program, format and prize money details for City of Frankston Singles available by link. – See Upcoming Tournaments – Vic. ABA wishes you and yours a Very Merry Christmas and a Safe and Happy New Year! Burden Park – Results & Photos from 7 Dec ’17. See Tournament Results. City of Frankston original and best “Battle” 2018 flyer added. See Upcoming Tournaments – Vic. 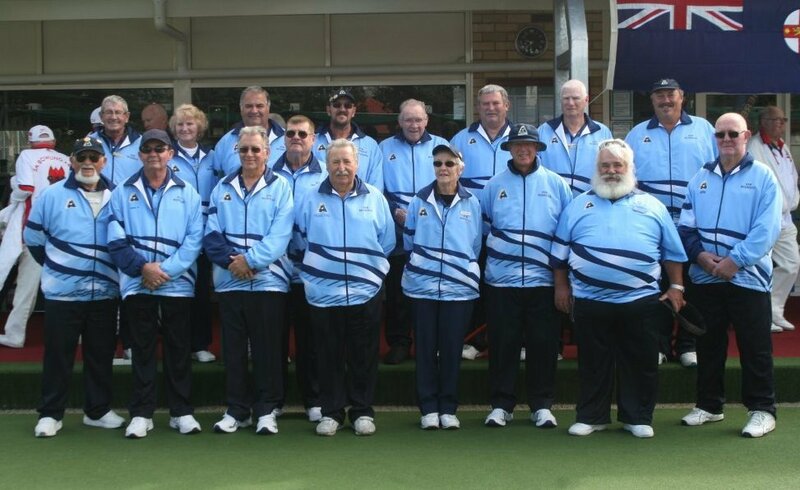 Armadale Regis Aged Care Super Tournament results & photos – See Tournament Results – Vic. Belmont 15 Feb ’18 Assembled Random 2 Bowl Triples Flyer added. See Upcoming Tournaments. Don’t miss this one…the only one of it’s kind! Werribee results for 19th Nov posted – See Tournament Results – Vic. Mooroopna Armed 2 Bowl Triples Results. See – Tournament Results – Vic. Club Kawana Armed Pairs Results. See – Tournament Results – Q’ld. Report from Howrah, Tasmania on their Coaching Clinic 24 Oct ’17. Latest News from Bowls Vic. Click here. Entries for the Vic. State Armed Singles and Pairs close on Fri. 8 Dec. ’17. No late entries will be accepted. Get your entry in now! Click here. Results & photos from Karingal 22 Oct ’17 – See Tournament Results – Vic. Results from Musgrave Hill posted for 20 Oct ’17 – See Tournament Results – Q’ld. Read about Tassie’s Coaching Clinic at Kings Meadows – See Coaching Clinics. Latest news from Tasmania. See “Coaching Clinics”. Western Australian report on the 2017 National Championships. See “State Reps” 2017. Vic. Armed State Singles & Pairs entry forms and cond. of play for Jan. ’17. Helensvale results. See Tournament Results – Q’ld. Victorian flyers added. See Upcoming Tournament – Vic. Queensland flyers added. See Upcoming Tournaments – Q’ld. Only 2 vacancies left for Karingal – see upcoming tournaments -Vic. Mooroopna Flyer added – see upcoming tournaments -Vic. Vic’s win 5th in a row! National Armed C’ships from Moama see http://www.bowlsvic.org.au or “State Reps” on this site. City of Frankston chosen as venue for the January 2018 Vic. State Pairs & Singles Championships. Congratulations to all those selected to represent their State in the 2017 Armed National Championships. With the exception of Western Australia, they are listed by State under the State Reps heading for 2017. South Australia names it’s State Side for the September National Armed Bowling Championships in Moama. Click Here. Karingal B. C. Open 2 Bowl Triples (in their 3rd yr.), 22 Oct. ’17. This event has a “whopping $1800 up for grabs” and I’d suggest …….you get in really quick, to be part of this great event, sponsored by “Oaktree Retirement Villages”. City of Frankston (Club Sponsored) innovation, “the Battle of the Arms – Singles, 19 Nov. ’17. Don’t miss this one! The Dromana B. C. Open Triples, 3 Dec. ’17. $900. Sponsored by “Travability”. Vince Daly is pleased to announce that this years South Australian State Singles (Armed) Champion is Phil Saunders from the Salisbury Club. Congratulations to all those who participated. From South Australia. A reminder regarding the Bowling Arms Day at Kapunda. As this club is the first to embrace the bowling arms players in their own competition, I would urge all arms players to compete in this event. Please advise any players from your club of this competition and make up as many teams as possible to show that we are serious in our endeavours to gain recognition in competitions. Regards, Vince Daly, President. 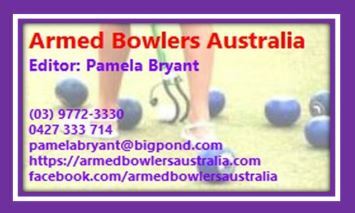 http://www.armbowlers-sa.org.au/ Check out “Upcoming Tournaments” South Aust.or the link above. https://armedbowlersaustralia.wordpress.com “you might see me here… please let me know.” Cheers! Check out the Latest News on Armed Bowling from Bowls Queensland or ABA’s Facebook page. 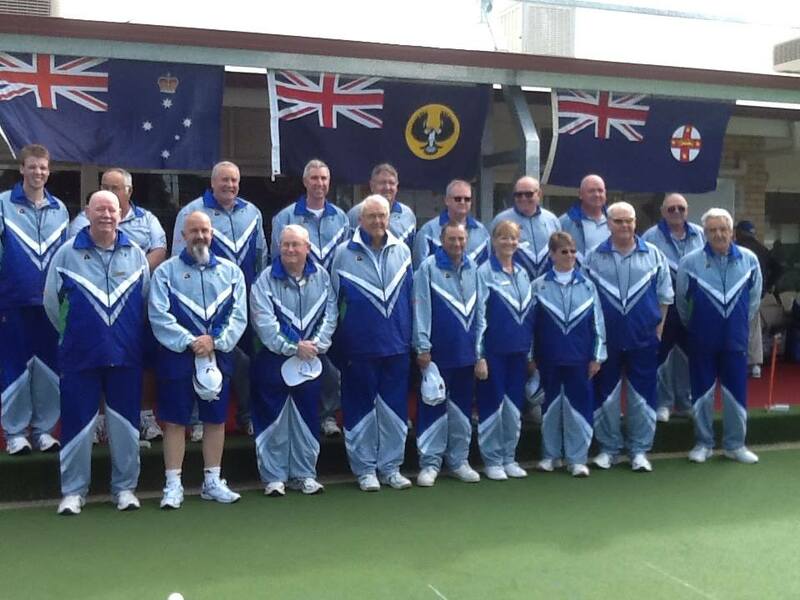 A “bit of fun”…I’m Chair of Saturday Selection at the Edithvale Bowls Club, these are my fellow Selectors. Love ’em. Hope you enjoy. Merry Christmas, Happy New Year and Good Bowling always! Click here to see. Check this out! Click here for a video of Armadale’s Super (Armed) Tournament from ABA Facebook. Photos from the Preston Reservoir Coaching Day 11/12/16. See “Coaching Tips”. Check out who won at Pine Rivers last Monday. See “Tournament Results – Q’ld”. Newcastle District Bowling Assoc. (Zone 2) Inc. is holding an Open Armed Singles Championship in Feb. ’17 and an Open Armed Pairs Championship in Mar. ’17. Check out the flyer’s and entry details on Upcoming Tournaments – NSW. Col Griffin (AKA Mango Chutney and Artwombat) from Q’ld, provides an innovative approach to using a bowling arm effectively….Check out “Coaching Tips”. Lilydale needs a single entry to pair up with another single entry for their Sun 20th Nov ’16 Pairs. Can you help please? CLICK HERE for the Flyer and contact details. Please note this event is now 2,4,2 not 2,2,2,2. It’s going to be a ripper! Check out the results and photos from the Kawana Armed Pairs, 13 Nov ’16 in our “Tournament Results – Q’ld” sect. Great report from Geoff. Cooper and Bill Roberts. 8pm 15 Nov.’16 Super Moon from Barbara Sharp Edithvale B.C. Results & photos from the City of Echuca (13 Nov ’16) and the Werribee (6 Nov ’16) Armed events – see “Tournament results – Vic”. More Funnies – Check ’em out! A few more teams are required for Armadale’s Super Bowlers Arm Day (2 bowl triples) on 27th Nov. ’16. This promises to be a truly successful day with $1,400 up for grabs, morning tea, lunch and afternoon tea provided for $25 per head. The local Member of Parliament and the local press will attend and this event could possibly become the first Armed “Honour Board” Event. I’ll be there….will you? Three great Armed Days coming up on Sunday 13th Nov ’16. Open Pairs at Kawana (Q’ld), Singles at City of Frankston (Vic.) and 2 Bowl Triples at City of Echuca (Vic.). Get in quick last chance! Check out the Flyers in “Upcoming Tournaments”. Mt Martha’s “Stick it to ’em” Armed 2 bowl triples, results with photos. See Tournament Results – Vic. Check out Musgrave Hill’s Open Armed Pair Results with photos on Tournament Results – Q’ld. If you haven’t seen it yet….check out Colin Griffin’s comments at the end of our Coaching Tips page. Well worth your consideration. Karingal results and photos on Tournament Results – Vic. now! Graeme Avery Karingal BC has 1 player vacancy for this Sunday’s Armed Tournament….is that you? Click here for more details. See you there! The Vic. State Armed Comps. are on! (Check out Upcoming Tournaments- Vic. ). Details of Vic. State Armed Comps. for Singles and Pairs coming up! Don’t forget to turn your clock forward an hour in Victoria, Australian Capital Territory, New South Wales, South Australia and Tasmania before you go bye-byes on Saturday. I know our South Australian friends cannot/or maybe not read this at the moment but we want you to know that you are very much in our thoughts right now, and will be “after the power comes on”. Can’t imagine how bad this is is for you. Hard to believe it could happen in Australia. Photos of Winner’s, Runner’s Up and more from Swan Hill are now on site. (See Tournament Results) Sincere thanks to Bill and Lynda King. Please note that with so much info on each page of this site, you have to wait until it is fully loaded. 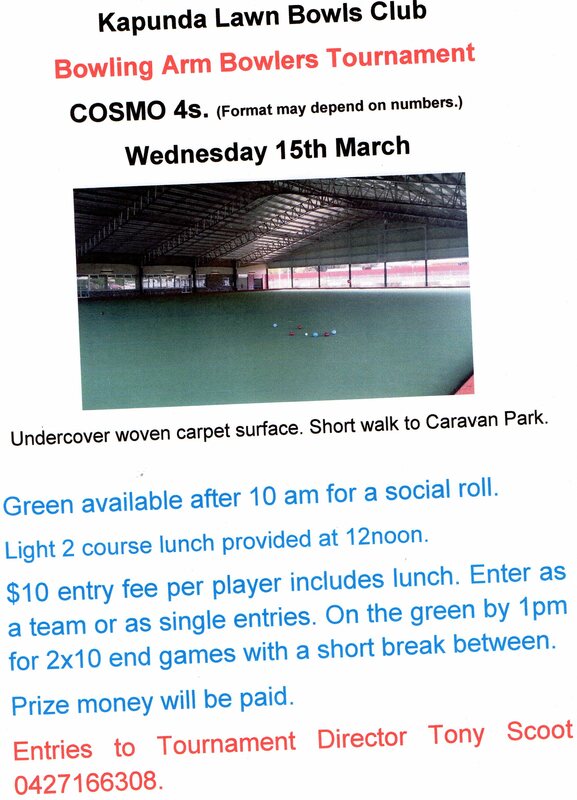 Shepparton Park Bowls Club will be holding there Bowling Arm Tournament on the 24th of September rain hail or shine as they can play under a roof. More entry’s would be appreciated. Contact Ross Higgins on 0428580111 or email r_higgo@hotmail.com There’s only a few days to go. Excellent practice weekend at Shepp. Park and Mooroopna for the Vic. Open.! Happy Birthday to….Armed Bowlers Australia! New article in Bit’s ‘n Pieces. The spring is sprung, the grass is riz. I wonder where the boidie is! Did you know…..every bit of “Blue coloured Text” is in fact a link to another site/document/photo or whatever? If you haven’t tried it yet….give it a go, just click on it, there is so much awaiting your discovery on this site. Click here to read the Vic. Bowls 2016-17 Pennant draw out today 19th Aug ’16. All State Sides players competing in the National Sides Championships for Arm Bowlers to be held in Broadbeach 5-8 Sep ’16 have now be named. Check out your States Representatives and their opponents in “State Reps”- 2016. 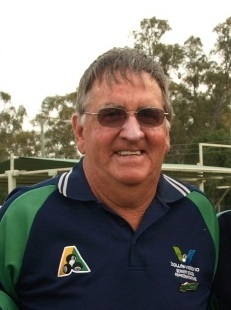 Better late than never….Patrick McErlean the voice we knew from early Sunday mornings on the radio, through his Lawn Bowls World show, died in March. (See Bit’s ‘n Pieces for a wonderful story by Leanne Edmistone on his achievements.) A truly remarkable man! 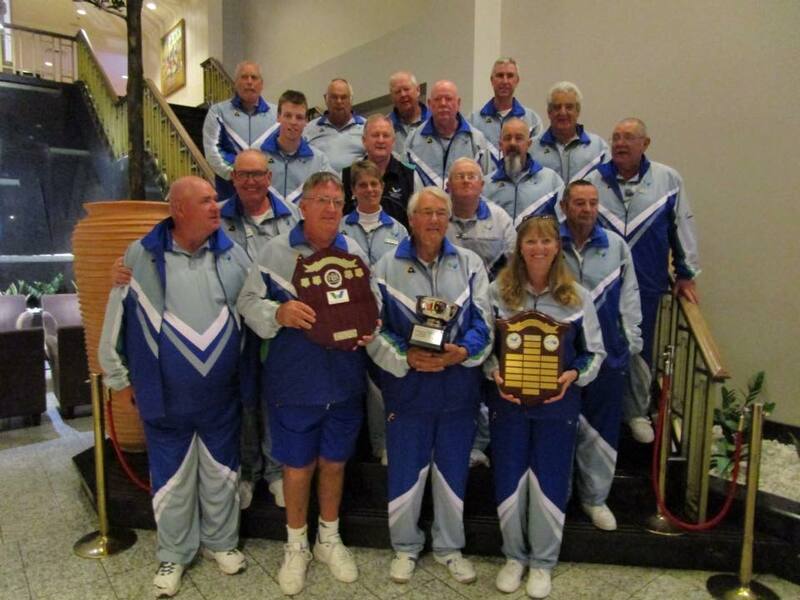 Check out the 2014, 2015 & 2016 South Australian Arm Bowler State Singles Champions in “Tournament Results – S. A.” Were they the first? We should all be excited…the National Armed Bowlers Challenge is less than a month away! New “Funnies Page” check it out. New item in Bits ‘n Pieces. Bundy Ladies. Phil Gude and Barry Ansett win the Armed Pairs Event at Broadbeach Q’ld. As mooted and now set in concrete from Bowls Vic (8/7/16) Official State Titles for Arm Players – Victoria leads the way! Graeme Bridge said, “Bowls Victoria is proud to become the first State Bowling Association to fully recognize its Arm Players by introducing official State Titles for both Women and Men in Singles and Pairs play.”These titles will be played at MCC Bowls Section, Swinburne Ave.Hawthorn from January 3-6, 2017 and we expect solid entry numbers for the inaugural titles. Latest from Bundaberg…..it’s on!! To all participants, have a fabulous day. Official State Titles for Arm Players – Victoria leads the way! Graeme Bridge has said, “Bowls Victoria is proud to become the first State Bowling Association to fully recognize its Arm Players by introducing official State Titles for both Women and Men in Singles and Pairs play.” These titles will be played at MCC Bowls Section, Swinburne Avenue Hawthorn from January 3-6, 2017 and we expect solid entry numbers for the inaugural titles. Bundaberg Ladies B.C. 19 Jun ’16 flyer added (See Upcoming Tournaments- Q’ld.) Don’t be scared off by 2X21 ends. Format may change. Check out NZ Herald’s report on our Armaroos Visit! Click here and for this and more go to Bit’s ‘n Pieces. A breathe of fresh air! Neville Rodda. See “Coaching Tips”. Gold Coast -Tweed 5-a side 29/4 flyer added. See “Upcoming Tournaments” Q’ld. Check out the “Battle of the Arms” story and pictures in Tournament Results. Vic. Armed Bowler Frank Baguley O.A.M. in Profile. See Armed Bowler Profiles. Michael Scotter retires from Squad Trials and Interstate Comps. Read his story in Armed Bowler Profiles. First day of trials (for selection in the Vic Armed Squad) will be held at Whittlesea on 3 Apr ’16. Get along, have a squizz! Good luck to all the hopefuls (let’s see if only 2 females make the Squad again?) Is it a RATIO thing or what? It’s not an Armed Tourney but it’s a great chance to bowl and be entertained by The Royal Aust. Navy Big Band! That’s different! Get in quick. Armed Bowler skips win in NYAH Districts Roy Armistead Day. See “Bit’s n Pieces”. Sale “Call to Arms” results and photos, see “Tournament Results, Victoria”. 2 Poems added by Peter Hemmens – See “Bit’s ‘n Pieces”. Edithvale’s “Armed & Dangerous”Tournament. See “Tournament Results” for all placegetter’s & photos. Bowls back on the Telly….SBS Thank you! ABA congrats Fiona McNamara see “Bit’s ‘n Pieces” for profile & photos. Reminder Sale has a 2 bowl triples armed tourney “Call to Arms” on Sat. 26th and Edithvale’s “Armed & Dangerous” medley pairs tourney is on Sun. 20th March. NSW Pairs (Beresfield) and NSW Singles (Beresfield & East Maitland) Flyers added. 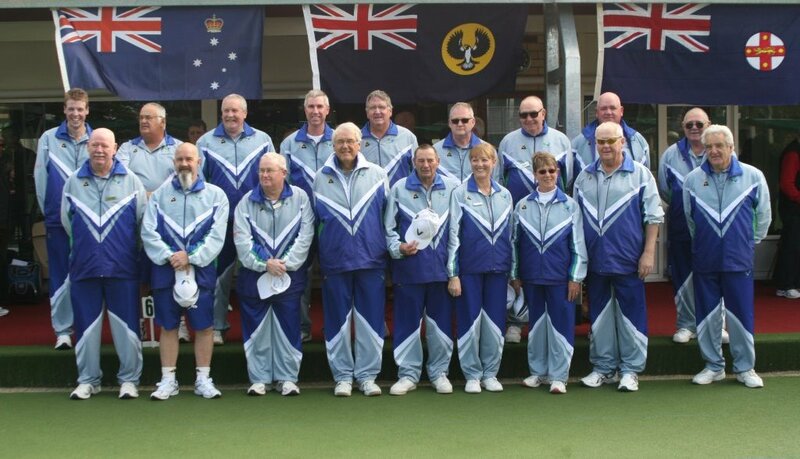 (see “Upcoming Tournaments” – NSW) Participants in both the Singles and Pairs events will be open for selection in the 2016 NSW Woomeras team to play in the 2016 National Championships in Queensland in September ’16. Heathmont hosted the Final Armed Bowlers Coaching Clinic for season ’15-’16. It was a great success, this report from Bob Deans “We had about 65 players with 5 coaches and 2 Heathmont Club coaches. Feedback has been terrific. Everyone enjoyed the day and all got something out of the coaching. Numbers were more weighted between beginners through to one year exponents.” Well done Heathmont! Belmont winners posted with photos. Maroon Armed Bowlers Assoc. Feb. Newsletter. There’s 4 Armed Events on from this Sunday, Warragul, Keilor & Belmont in Vic. and Urangan in Q’ld. If you are one of the lucky ones able to attend one of these, please share your experience with your other mates on this site by sending results, comments and/or photos to pamelabryant@bigpond.com Cheers! Letter from Noel Barnsley Canberra North B. C. A. C. T.
“Firstly, congratulations on the wonderful website for armed bowlers. A real eye opener for me as one of the few ACT bowlers who use a bowling arm. I have made a few enquiries with Bowls ACT about the number of registered armed bowlers in the ACT – at the moment there are only about half a dozen of us (I have only met a couple of them) so there is little chance of getting an ACT team together for armed bowler events. I have tried to get down to one of the coaching days run in Victoria but so far have not managed it due to other commitments (usually bowls related). “I’d like to think we could all help Noel and his fellow ACT Armed Bowlers out here? If you live in the A.C.T. and use a bowling arm, please check out Upcoming Tournaments ACT, there’s a message just for you! The final Arm Coaching day for this season will be held at Heathmont BC on Sunday, February 28 from 10.30am. Please contact Bob Deans at rfdeans@optusnet.com.au or on his mobile 0413 021 474 to ensure a spot. 5th February ’16 – Arthritis and Osteoporosis Victoria’s MOVE with Bowls program is gathering plenty of momentum from Bowls Victoria’s clubs.And the Foundation has signed up its first representative team – sponsoring a team in the Mulgrave Country Club Super Sixes tournament with special MOVE with Bowls shirts.The MOVE with Bowls team is made up of State Arm players (who appreciate Arthritis and Osteoporosis Victoria’s slogan of “move it or lose it” and are proud to be representing Bowls Victoria’s charity partner at this event.The team playing during the Super Sixes series, which runs until March, is: Tony Long, Doug Corrigan, Lee Wesley, Stephen Coles, Ray Arnold and Phil Gude.See Bowls Vic.’s “Heads Up” of 5th Feb ’16 for more on this great initiative or simply click here. 1st Monday of the Month 2.00pm – 4.00pm Beresfield Bowling Club That’s Mondays 1st February, 7th March, 4th April: This will be a games event as I will be unavailable due to State Disability Selection duties, 2nd May, 6th June, 4th July and 1st August the last training session for 2016! 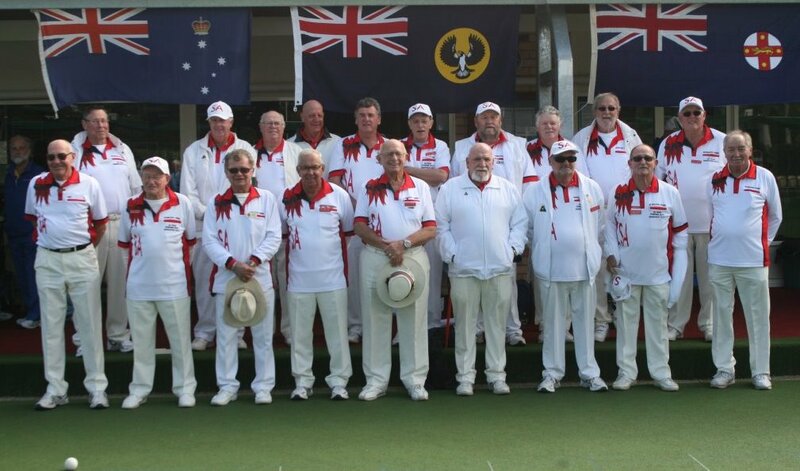 Monday 2th May: “Australian Armaroos” travel to New Zealand.Monday 30th and Tuesday 31st May: 2016 NSW Bowlers Arm Singles Tournament at Beresfield and East Maitland. Sunday 4th September – 8th September: National Championship at Broadbeach BC, Queensland. Please share this information with others who may use a Bowling Arm in NSW. 4 new Coaching tips added. Metro Sat. Pennant for 18 Dec. has been called off due to heat. Click here for more from Bowls Vic. Looking forward to Dromana Pairs (Vic.) this Sunday. Maroon Armed Bowlers Nov Newsletter. Click here for “Armed Coaching goes Regional” from Bowls Vic. Kawana Pairs (Q’ld) results on site plus photos. The South Australian Bowling Arm Assoc. Inc. has added to Upcoming & Previous Tournaments….please check it out! Fab day had by all at City of Frankston 15th Nov. See results page. Soooo looking forward to City of Frankston Singles this Sunday! To receive notifications of new posts to this site……please click on the “Follow” button, bottom right. Armed Bowlers Australia congratulates the Maroon Arm Bowlers Assoc. of Q’ld on setting up their own purpose specific website. 27/10 – 1/11/15 Norm Knopp Challenge, Echuca. Teams Entered: Winners in red. Well done to Armed Bowlers Graham Edwards and Barry Anset on your selection and the Anset team on their win, representing Bendigo. 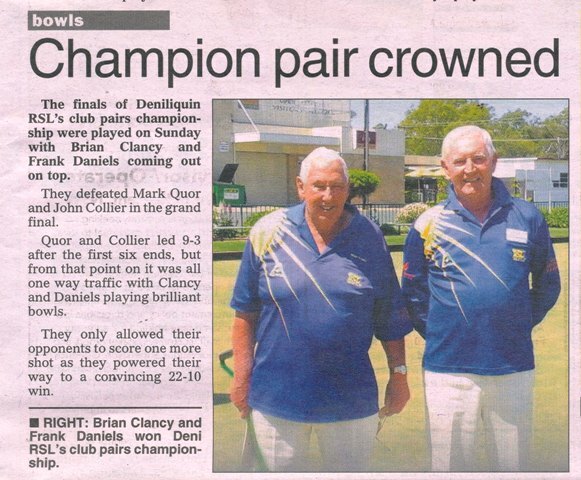 24/10/15 – Armed Bowler, Brian Clancy and Partner Frank Daniels won the Deniliquin RSL.Pairs. 23/10/15 – Check out Musgrave Hill Medley Pairs results under Tournament Results – Queensland. 23/10 – Click here for the 23 Oct ’15 “Heads Up” Bulletin report on Armed Bowls. 18/10/15 – Armed Bowlers go International. 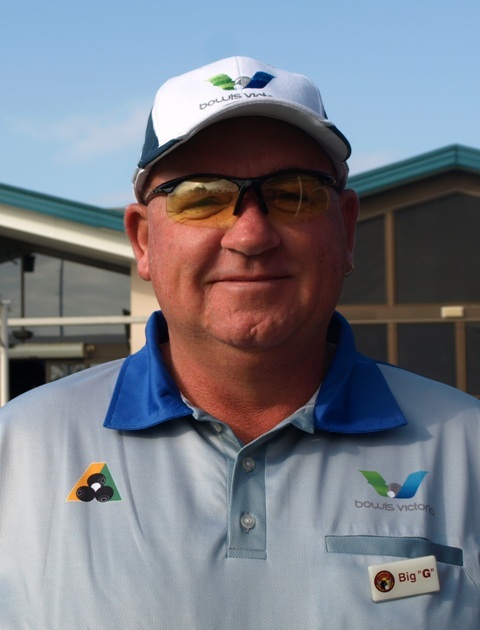 The best and latest news for us Armed Bowlers has just come from Rodney Egge of the South Aust. “Sturt Peas”! “A self-funded Australian Bowling Arm Team has been chosen from National Championships participants to tour New Zealand in May next year. VIC – Barry Anset, Ray Arnold, Doug Corrigan, Harry Dahllof, Phil Gude, Tony Long, Ann Power, Adele Ryan, Lee Wesley. NSW – Mick Cleary, Jeff King, John Passfield, Allan Starrett, Roger Sydenham, Stan Wrzeczycki. SA – Arch Baxter, Rodney Egge, Stuart Reither, Don Sheldon. Tranmere Bowls Club is playing host to this year’s most awaited event in the Armed Bowlers calendar, the “National Bowling Arm Sides Championship”. It is situated 6 kms east of Adelaide on the corner of: Magill Road and Kings Grove, Tranmere, South Australia and boasts 3 new synthetic greens. In addition to these are the numerous co-coordinators required to keep things ticking over smoothly, some visiting bowls dignitaries, family, friends and other supporters and maybe even the odd reporter or two. No doubt there will also be representatives from the bowling arm manufacturer’s community. Over all co-ordination, catering, greens preparation and juggling, cleaning, umpires, markers, measurers, and scoreboard attendants, falls to Tranmere and we know they will do a wonderful job. Tranmere also run a wonderful calendar of armed bowling events throughout the year, I believe. And so…, following a warm welcome, due ceremony and photos, we got down to business. Day 1 Rd 1 Fours. Vic. – Long def Starrett (NSW), Coles def Egge (SA), Crisp def Amos (SA) for 6 points. Day 1 Rd 2 Fours. NSW – Sydenham def Coles (Vic. ), Starrett drew against Amos (SA) for 3 points. SA – Egge def Parker (NSW), 1 point for the above draw for 3 points. Vic. – Crisp def Solomons (NSW), Ansett def Reither (SA), Long def Prow (SA) for 6 points. Vic 12, NSW 8, SA 4. Day 2 Rd 1 Pairs. NSW – Davies def Coles (Vic. ), Starrett def Reither (SA) for 4 points. Day 2 Rd 2 Pairs. NSW – Wrzeczycki drew against Ivanica (SA), Parker def Amos (SA), Starrett def Long (Vic) for 5 points. SA – Borlase def Sydenham, Ivanica 1 point for draw above, Richards def Gude (Vic), Adam def Davies for 7 points. Vic – Gribbin def Solomons (NSW), Gilmore def Adams (NSW), Wesley def Prow (SA), Anset def Allomes (SA), Coles def Reither (SA), Crisp def Egge (SA) for 12 points. Vic 24, SA 15, NSW 9. Vic 36, SA 19, NSW 17. NOW THAT”S GUNNA TAKE SOME CATCHING! NSW – Parker def Faull (SA), Solomons def Coles (Vic) for 4 points. SA – Richards def Adams (NSW) for 2 points. Vic. – Anset def Starrett (NSW), Crisp def Haywood (SA) Edwards def Sheldon (SA), for 6 points. NSW – Solomons def Haywood (SA), Starrett def Sheldon (SA) for 4 points. Vic. – Coles def Richards (SA), Wesley def Faull (SA), Crisp def Adams (NSW), Edwards def Parker (NSW) for 8 points. SA – Amos def Wrzeczycki (NSW), Egge def Allomes (NSW) for 4 points. Vic. – Atkins def Prow (SA), Corrigan def Reither (SA), Long def Davies (NSW), Finch def Sydenham (NSW) for 8 points. NSW – Allomes def Atkins (Vic), Wrzeczycki def Corrigan (Vic) for 4 points. SA – Reither def Sydenham (NSW), Amos drew against Finch (Vic), Prow def Davies (NSW) for 5 points. Vic. – Long def Egge (SA), Finch drew against Amos (SA), for 3 points. Vic., 25, SA 11, NSW 12. Vic. 63, SA 30, NSW 27/29 (?). The scores tell it all…………….a resounding three in a row win to the Vic’s! Well done too: The Overall Tournament Director Mike Porter, the State Side Managers/Coordinators: Don Reid (SA), Phil Gude (VIC) and Vince Daly (SA) and the Organizing Committee of: Rodney Egge, Ron Mitchell & Mike Porter. Photos courtesy of Bob Ormisher & Rodney Egge, Scores Lee Wesley. Click here for the Bowls Vic. report. Click here for the final Bowls Vic report and photos. AND here’s the victory photo of the 2013, 2014 and now 2015 Winners, courtesy of Bob Ormisher. The big news for all Victorian Armed Bowlers is that from the 2016-17 season Armed Bowlers will be able to participate in their own discipline in fully fledged State Championship Events (Singles & Pairs). Whoopee!